Another anti-police brutality protest turned violent in the French city of Rennes, with masked youths and police engaging in running street battles. The unrest follows the death of a young environmental activist earlier this week. 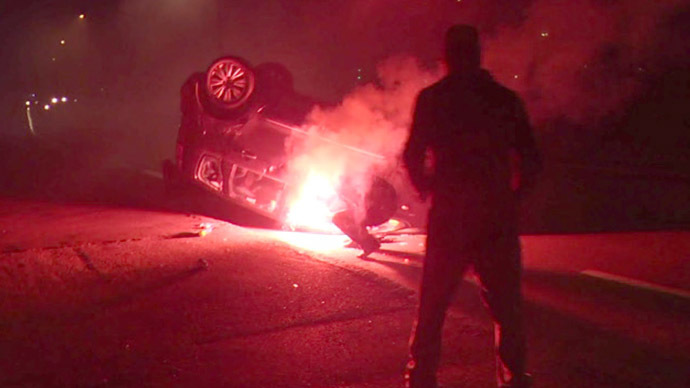 Overnight Thursday, protesters in the northwestern city lobbed flairs at police and flipped over cars, some of which they set ablaze. Police responded by firing tear gas. The number of arrests or injures, if any, remains unclear. 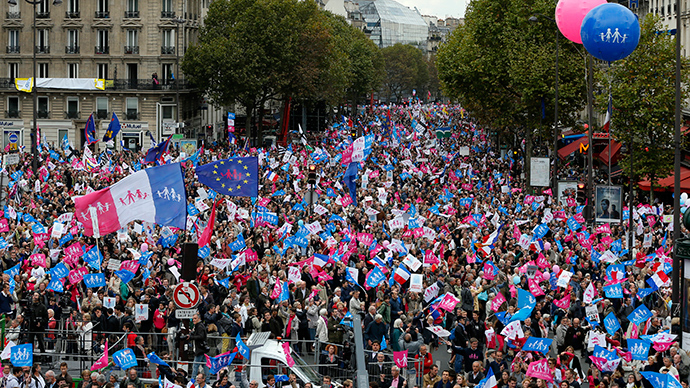 A similar protest in Paris on Wednesday also descended into violence. Around 250 people gathered outside City Hall in Paris, with some throwing rocks at police and writing "Remi is dead, the state kills" on walls, The Local’s French edition reports. At least 33 people were taken into police custody following the unrest. The protests are in response to the death of 21-year-old activist Remi Fraisse. He was killed early on Sunday by an explosion, which occurred during violent clashes with police at the site of a contested-dam project in southwestern France. His death, the first in a mainland protest in France since 1986, has been blamed on a concussion grenade fired by police. France’s Interior Minister Bernard Cazeneuve, who came under serious pressure to resign following the incident, announced an immediate suspension of such grenades, which are intended to stun rather than kill. 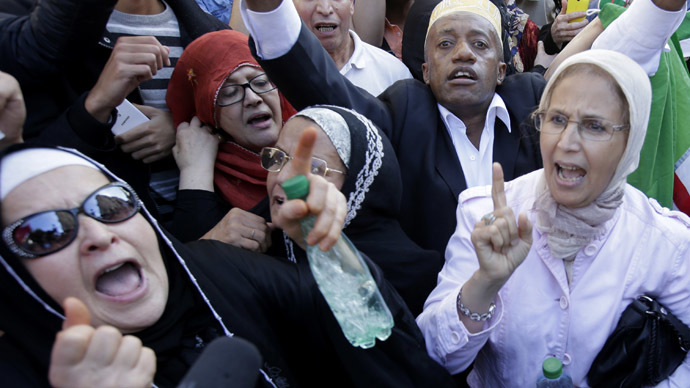 On Monday, outrage at Fraisse’s death sparked protests in several French cities. Violence erupted in Albi, the town close to the dam, as well as in Nantes and Rennes. Fraisse was one of 2,000 activists present in the southwestern Tarn region to protest the €8.4m ($10.7) million Sivens dam project. Activists said the project would harm the environment, but officials say it is needed to irrigate farm land and boost the local economy. On Friday, however, local authorities suspended work on the project, saying it would be impossible to continue in light of current events. The executive council, however, which is tasked with overseeing the project, has not ruled to abandon it all together. The incident has put additional pressure on the already unpopular government of Francois Hollande, who has vowed that a thorough investigation will be conducted into the circumstances surrounding Fraisse’s death.